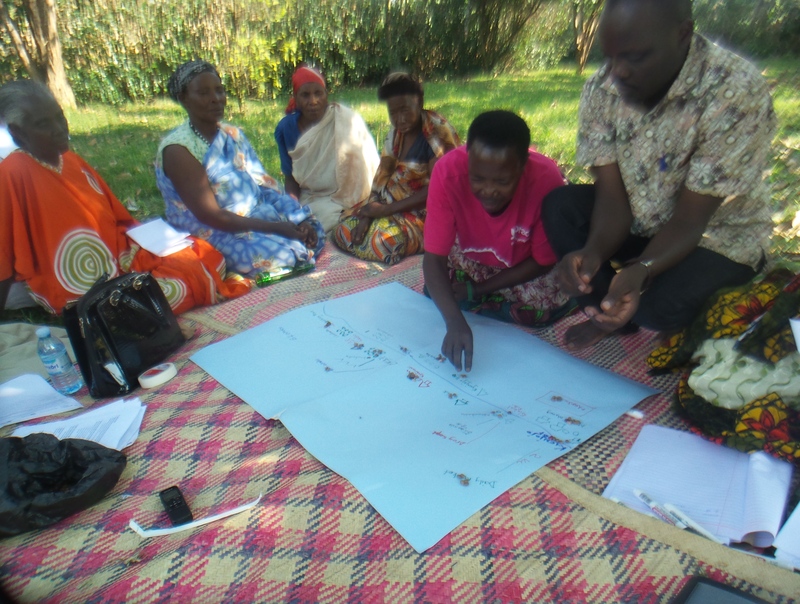 Piloting new qualitative research tools is an exciting part of any international research project. 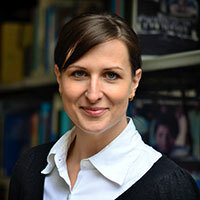 After putting a lot of efforts and thoughts into the development of the research tools, one can finally see how these tools work in practice and whether they generate the relevant information. Yet, piloting is not an easy task. In addition to getting to know a new team and local context, it requires to internalize the new research tools in a limited amount of time while being reflective about necessary changes of these tools. 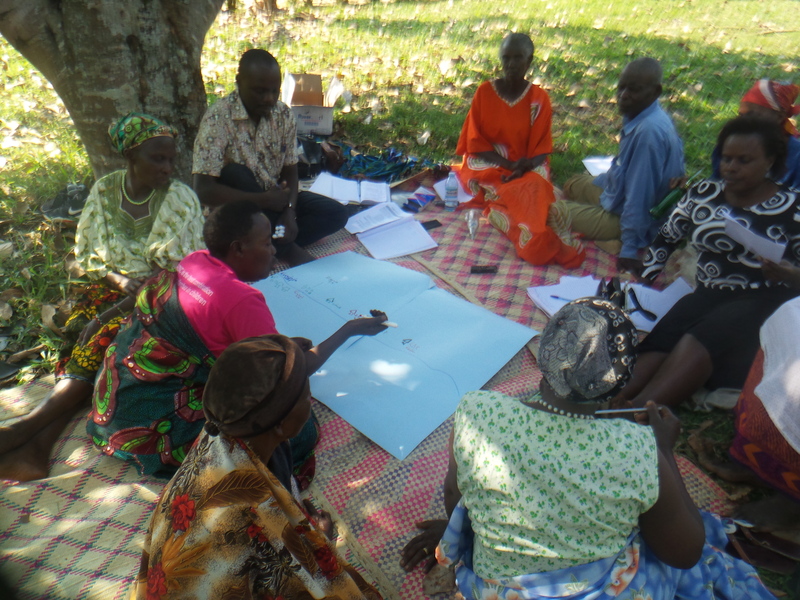 As part of the wider research project “Making the economic case for investments in social protection in Uganda” we recently piloted the instruments for the qualitative research component. 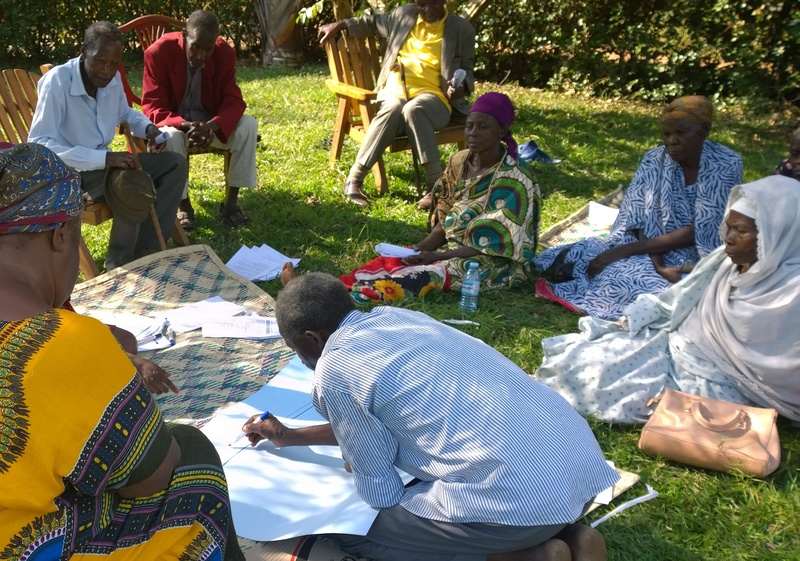 This qualitative component aims at understanding how local circumstances, such as the availability of services and infrastructure influence the economic impacts of Uganda’s senior citizens grant (SCG). In order to answer this question this component strongly relies on qualitative primary data from Key Informant Interviews and Focus Group Discussions. 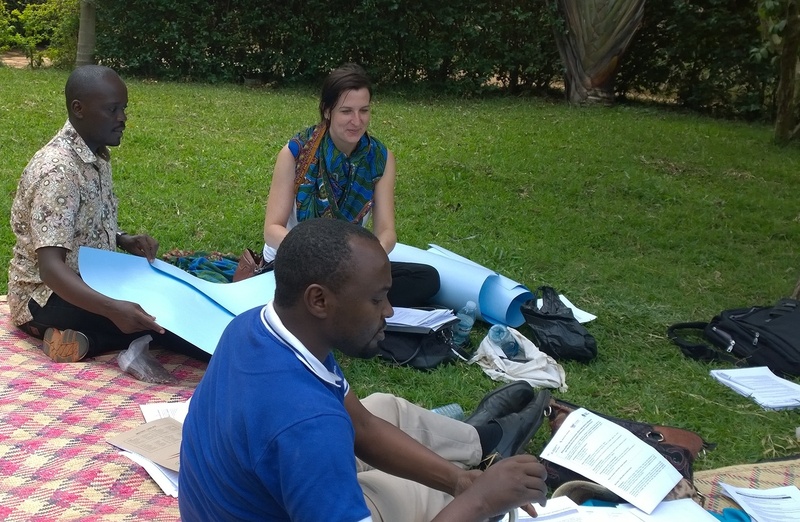 The field research team for the piloting of our research instruments consisted of two team leaders: Maria Klara Kuss from the UNU-MERIT/MGSoG at Maastricht University and Dr. Firminus Mugumya from the School of Social Sciences at Makerere University in Kampala. 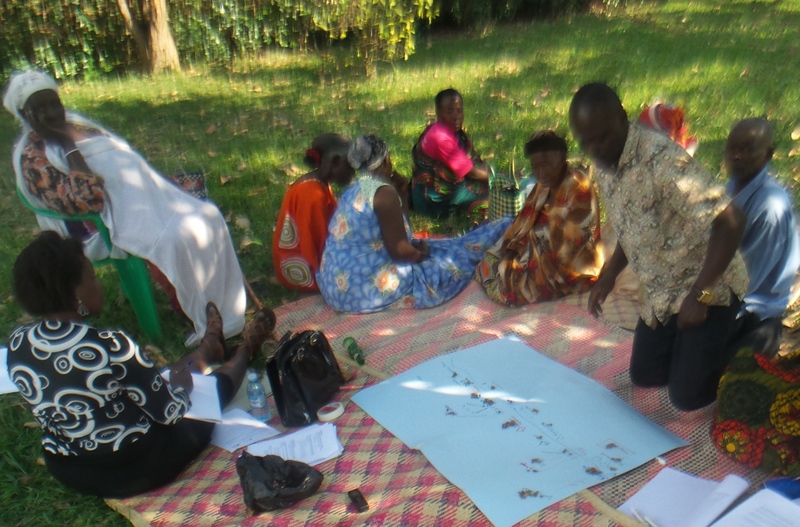 The two team leaders were supported by a team of four field research assistants, namely Anthony Kadoma, James Tayebwa, Patria Nyabahutu and Diana Kebirungi. While for most of the team members the instruments were new, all team members were well experienced in conducting Focus Group Discussions and Key Informant Interviews. The expertise of the team members enabled us to directly dive into the new research topic and to successfully test the research instruments. 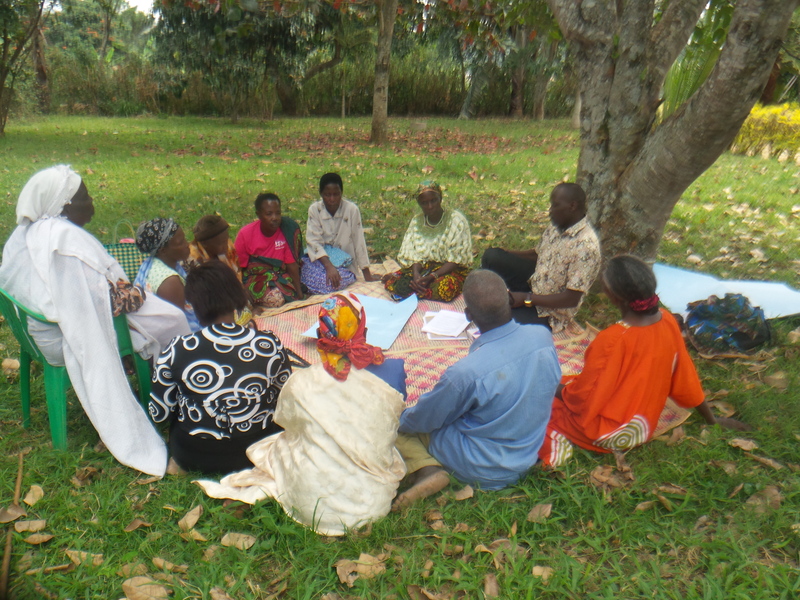 In consultation with the Expanding Social Protection (ESP) Programme of the Ugandan Ministry of Gender, Labour and Social Development, we decided to pilot the research instruments in Kyenjojo district in Kasiina ward. This was based on three main reasons: First, it is one of the districts where the Senior Citizens Grant (SCG) started in 2011. Second, the local language spoken in the district corresponds with the language skills of one of our team leaders and the four research assistants. Third, the district is relatively close and well connected to the capital city of Kampala which is about 240 kilometres away. A tarmac road connects the district to Kampala; so that it took us only a three-hour drive to get there. This allowed us to manage our piloting exercise within only one day. 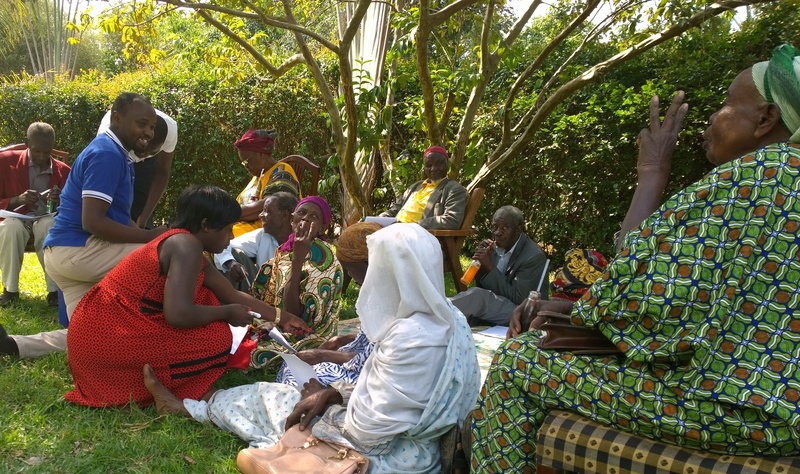 Prior to the piloting exercise we engaged with the Expanding Social Protection (ESP) Programme of the Ugandan Ministry of Gender, Labour and Social Development in order to get in contact with the Community Development Officer of Kyenjojo Town Council. 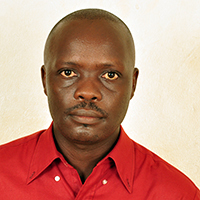 We informed him about our undertaking and asked him to support us mobilising respondents. We explained him that we aim to conduct two Focus Group Discussion – one with 10 SCG recipients and one with 10 non-recipients – as well as a set of key informant interviews with people directly and indirectly involved in the implementation of the SCG. After the arrival of recipients and non-recipients at our meeting place, a beautiful garden of one of the SCG recipients, we welcomed our participants and started explaining the background and purpose of our research. We explained that we would like to learn from them how the SCG has influenced their livelihood activities and find out if there are any changes in the infrastructure and services in this community as a result of the increased cash flow because of the SCG. 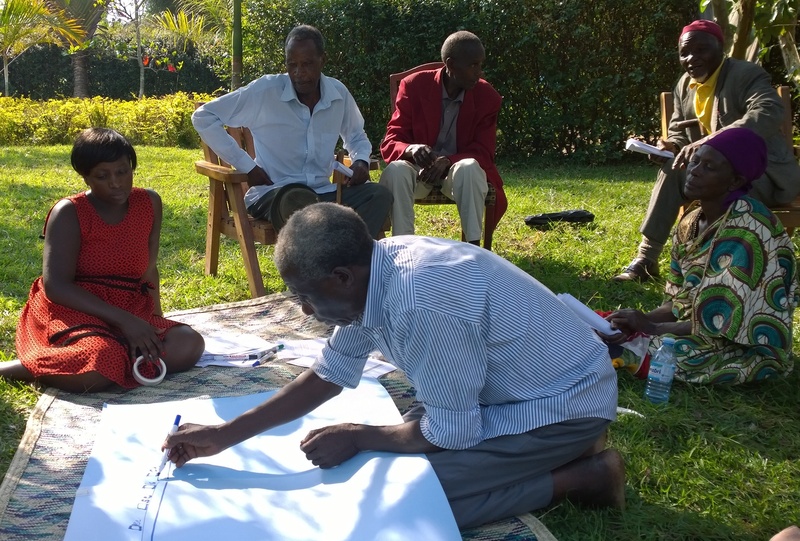 After ensuring that our respondents were fully aware of what our research is about, why we are doing it, and what participating in it will involve, we separated them into two groups – one group of recipients and one group of non-recipients – and began with our two group exercises. The first exercise consisted of a facilitated discussion around the question: What has changed regarding your day to day work as a result of the increased cash flow of the SCG programme? The second exercise involved a mapping and ranking of infrastructures and services which they considered important in their day to day work. Afterwards they were asked what has changed in the infrastructures and services in the parish as a result of the SCG programme. 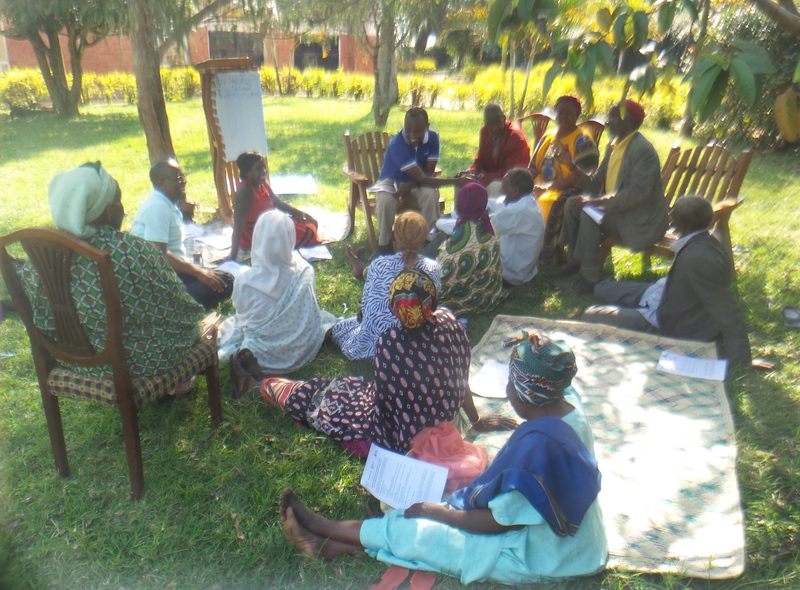 While our FGD exercises yielded the desired answers, we soon realised -although to some extent anticipated – that conducting FGDs with older people constitutes a considerable challenge given the visual and hearing problems as well as fatigue of some participants. This required a good deal of patience and interpersonal skills of facilitators in order to be sensitive to these needs while keeping the discussion on track and participants interested. However, despite those challenges we also realised that most participants appreciated the opportunity to contribute to our study in order to make their voices heard.